We like to think that nothing will happen to us when we are in the safety of our home. But this is not always the case. In fact, more than 18,000 Americans dies from household accidents every year. Household accidents account for more than 21 million medical visits each year, which add up to over 220 billion dollars in medical costs! Although we really can’t predict when these accidents can occur, there are ways, however, to reduce the risk of injuries in your home. Here are a couple of preventive measures you can take to help protect yourself and your families from injuries at home. Slips and falls are responsible for more than one-third of all accidents that occur at home. This is why you need to ensure that you keep your home safe from accidents and injuries. Children and the elderly people are most likely to be the victims of slips and falls. One of easiest and most straightforward way of preventing falls is to make a habit of keeping the amount of clutter around your home to an absolute minimum. This includes laundry, toys, books, etc. It’s also best to buy extension cords to keep your power cables out of the way, especially on walkways. Also, avoid putting too many carpets around your home because they are more likely to cause slips and falls. Kids especially toddlers are always curious. They like to wander around the house, and when they find an object that piques their interest, they will always put it in their mouth. Keep toys that are appropriate for the age of your kids. If you have infants or toddlers in the house, it’s important to teach your older children to keep the toys away from the younger ones especially after using them. 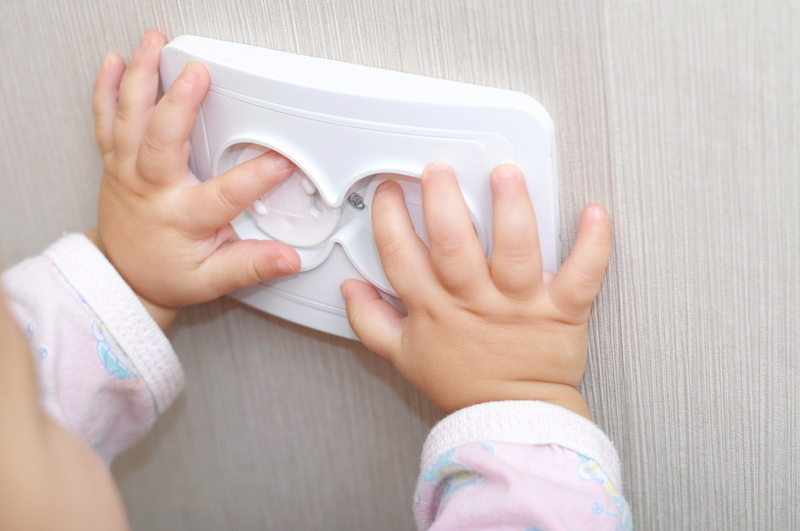 Keep all toxic items out of reach of your babies or toddlers. You may put them on higher shelves or have them stored in locked cabinets. Fires are also one of the leading causes of injuries at home. It also happens to be one of easiest accidents to prevent. If your house is already old, be sure to replace its electrical wirings and outlets. If you have fireplaces or heaters at home, you must install a gate preferably a fireplace baby gate, so your kids will not go near them. You should install fire alarms and fire sprinklers around your home in case of emergency. Be sure to check and maintain them on a regular basis, so they are always in good working condition. Don’t ever leave your stove or electrical grill left open. If you’re cooking, be sure to watch over it, especially if you are cooking with oil. Sharpen your knives at all times. Avoid using knives recklessly and observe proper cutting techniques. Use gloves for when preparing food. Don’t attempt to catch a falling knife. Store your knives or any sharp items properly. Injuries at home usually happen because of our own carelessness. These accidents are totally preventable if only all family members are careful. Be sure to follow the preventive measures above to help protect yourself and your family from personal injuries and accidents at home.